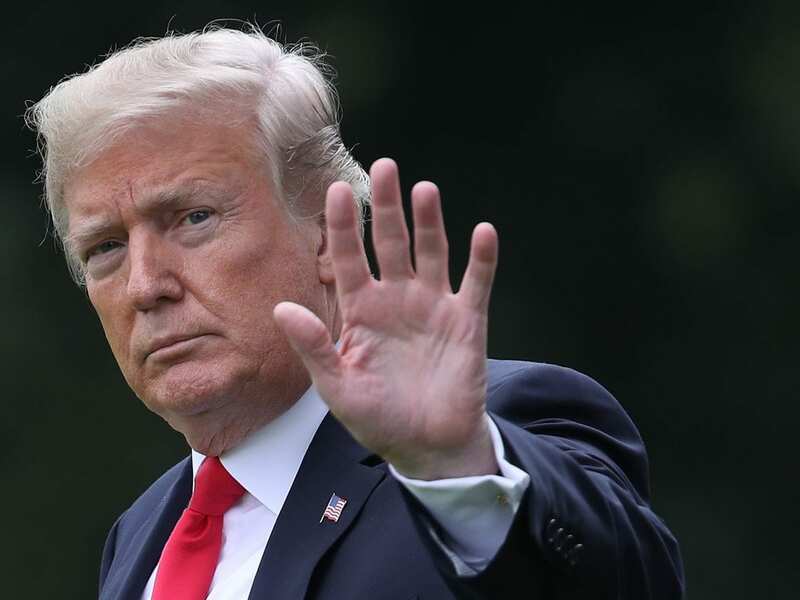 Trump has repeatedly said this week he would force the government to shut down if Democrats do not agree to significant increases in border spending, including money to build a wall along the southern border with Mexico, along with changes to the legal immigration system. Capitol Hill Republicans fear a government shutdown weeks before Election Day could cost them dearly with voters in what’s already expected to be a rough midterm for the governing party, a view the White House rejects. “There’s much more at stake here than political fallout. This is about protecting a country and protecting a nation,” said deputy White House press secretary Hogan Gidley to reporters aboard Air Force One as Trump traveled to Florida. Trump’s threats intrude on what congressional Democrats and Republicans say have been uncharacteristically positive negotiations over the annual spending bills. Trump’s aggressive comments highlight a continuing disconnect over policy between Trump and the congressional GOP. In recent months, they have clashed over tariffs, Russian interference in U.S. elections, North Korea and now spending. Senate Majority Leader Mitch McConnell, R-Ky., told reporters Tuesday that the parties are working together to pass spending bills ahead of a fiscal-year-end deadline on September 30. If successful, it would be the first time the two sides reached a peaceful spending solution ahead of that deadline since Trump took office. It is highly unlikely that Congress can pass funding for Trump’s wall as part of that regular process. Democrats have vowed to block any new wall funding in the Senate where Republicans don’t have enough votes to pass a spending bill on their own. “Whenever he gets involved he seems to mess it up,” Schumer said. Most Republicans say they take Trump’s threat seriously but are working to convince him to change his mind. Sen. John Thune, R-S.D., one of McConnell’s top deputies, told reporters he expects Trump’s own advisers are doing the same. Senate Majority Whip John Cornyn, R-Texas, used Trump’s own favored medium, Twitter to push back, writing, “President Trump has privately agreed to put off a potential shutdown or any fight over border wall funding until after midterm elections,” and linking to a Wall Street Journal article. Senate Appropriations Committee Chairman Richard Shelby, R-Ala., said he takes the threat seriously but it won’t stop him from trying to pass spending bills in the coming weeks.